From beginning to end, GAF5 participants shared the aspirations and frustrations of the long journey to gender equality, and the long way still to go. The greater commitments to gender equality in policies and by aquaculture and fisheries agencies are heartening developments. Of growing alarm, however, is the erosion of women’s positions in mainstream aquaculture and fisheries value chains and increasing difficulties in vanishing traditional resource systems. Attempts are being made to redress this and improve women’s opportunities with new aquaculture and post-harvest technologies and approaches that may carry better prospects and create more equality. Aquaculture and fisheries are very diverse, and so are the societies and gender norms in which they operate, as reflected by many papers that presented diagnoses of specific cases. We see some greater commitment to gender equality in policies and by institutions, but the position of women in mainstream and traditional value chains is still eroding despite new technologies accessible to women and new development approaches. During the inaugural function of the 10th Indian Fisheries and Aquaculture Forum (10ifaf) which hosted GAF5, the Asian Fisheries Science Journal Special Issue 27(S), comprised of the synthesis and papers of GAF4, was officially launched. GAF5 was inaugurated by Ms. Leena Nair, Chairman, Marine Products Export Development Authority (India) with the official party also comprised of Dr. J.K.Jena, Convener, 10ifaf, Dr. Meryl J. Williams and Dr. B. Meenakumari, Co-Chairs GAF5, Dr. Cherdsak Virapat, DG NACA, and Dr. Nikita Gopal, Program Chair, GAF5. The inauguration demonstrated the commitment of senior leaders and their institutions to gender equality and their interest in taking the GAF agenda to a wider platform. Given the greater recent focus this still-small field of effort is receiving, GAF5 was very pleased to welcome many new researchers and development experts who are starting to work on gender within fisheries and aquaculture institutions and development agencies, and in non-government organisations (NGOs). GAF5 was supported by the Asian Fisheries Society, Asian Fisheries Society Indian Branch, Indian Council of Agricultural Research, Network of Aquaculture Centres in Asia-Pacific, United States Agency for International Development MARKET project (USAID-MARKET), Norad (Norwegian Agency for Development), Marine Exports Development Authority (India), National Fisheries Development Board (India), National Bureau of Fish Genetic Resources, Aquaculture without Frontiers and the presenters and their host organisations. • Surendran Rajaratnam (presenter), Steven Cole, Catherine Longley: Gender Inequalities in Access to and Benefits Derived from Natural Fisheries in the Barotse Floodplain Western Province, Zambia [WorldFish]. The opening address by Meryl Williams tracked action on gender in aquaculture in fisheries, using the 1979 adoption of the United Nations Convention of the Elimination of All Forms of Discrimination Against Women (CEDAW) as the starting point for the journey. She likened the ups and downs along the journey to the peaks and troughs of the Gartner Hype Cycle, with a peak of expectations in about 2000, followed by a trough ten years after, and a slow and hopefully more sustained rise in action and capacity since. Mapping activity from around the world, she classified aquaculture and fisheries organizations into pioneers, the majority and the conservatives that are yet to address gender. She concluded that although the Asian Fisheries Society was a pioneer, it still lacked a vision, and strategy for greater effectiveness on gender and needed to strengthen its Genderaquafish platform. Several participants shared their own experiences of peaks and troughs in interest in gender in fisheries in their own regions, and in other fields such as health and development. With the strong privatization trends in aquaculture and fisheries working against women’s interests, gender efforts have been slow to show impact. GAF still needs more planning to achieve the scale where it can reach governments with any chance of major impact. Fisheries NGOs are not active in major gender forums. We face a challenge also in stimulating young researchers to get involved in this field. How can we excite their interest? This report of GAF5 explores the rich material presented under five themes: (1) greater policy and institutional commitment to gender equality; (2) the eroding position of women in aquaculture and fisheries; (3) new technologies for women and new gender equality approaches; (4) diagnosing diversity and enabling action; and (5) GAF101, networks and GAF information. The civil society organisations at FAO events discussing the Small Scale Fisheries Guidelines. One of the achievements of 2014 was the adoption of the Voluntary Guidelines on Securing Sustainable Small-Scale Fisheries [SSF Guidelines] as the first major fisheries legal instrument that includes gender equality aspirations. 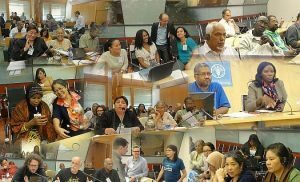 From a feminist perspective, the International Collective in Support of Fishworkers, which had been a critical civil society partner of FAO and countries in developing the Guidelines, led a panel of presentations and discussion on the Guidelines. According to Nalini Nayak, the SSF Guidelines presents a comprehensive and integrated document, covering the whole of the value chain and with a multi-disciplinary approach, but the implementation, which is still being developed, holds threats along with opportunities. The threats include interpretations of governance, rights and wealth creation that are at variance from those of women and other small-scale fishers especially with the ingress of powerful funders and policy advocates with their own social and environment agendas. Katia Frangoudes analysed the main framework of the Guidelines, pointing out the strengths and weaknesses of having a standalone article (Article 8) on gender equality, rather than gender being a more cross-cutting issue. Women and gender appear to be used as synonyms in the Guidelines, indicating that little effort has yet gone into understanding the root causes of women’s inequality, especially the powerful patriarchy of the sector and society, and curtailing the possibility of transformative approaches to gender relations. Katia raised the critical question: “how will states implement women’s equality when experience shows it is a sensitive issue, usually facing resistance, never given priority?” She recommended that women and marginalized groups build autonomous organizations to promote a human-rights based approach to the SSF sector, including advocating that the implementation plan for the SSF Guideline must focus on transformative changes for equitable, gender-just and SSF sustainable development. For the first time, GAF5 was privileged by the very active participation of key institutional leaders. GAF5 Best Paper Award winner, S. Inaotombi, receiving his Award from Dr B. Meenakumari, DDG (Fisheries), ICAR (Organizing Committee Co-Chair). In her plenary talk, Dr. B. Meenakumari (Deputy Director General (Fisheries Science), Indian Council for Agricultural Research [ICAR]), set the scene for women in India’s fish sectors. She said that “ignoring women will be ignoring a large portion of the sector and taking away a large part of the pool of expertise.” In government fisheries research, women professionals have increased by nearly 10% over the last decade and now comprise 20%. Case studies of gendered workspaces revealed more involvement of women in inland compared to marine fish supply chains, but women dominate in the post-harvest sector in both supply chains and support productive and reproductive work. In aquaculture, women entrepreneurs are rarely visible but some success stories have been documented e.g., Shanthi 2012). ICAR research institutes are working on women-friendly technology interventions and recognize that these must also be life-friendly to safeguard women’s well-being, often in the face of industry-wide technology shifts that have been responsible for marginalizing women. In recent years, ICAR has engaged and led more frequent gender and women’s events and studies, and insists on gender being an element in all projects. ICAR has been a consistent and active supporter of AFS GAF events, including hosting GAF5. Dr Cherdsak Virapat, NACA Director General, indicated in his inaugural address and in the NACA Special Workshop (below) that NACA and its member countries would be giving much greater prominence to gender work. From traditional fisheries, to mainstream fisheries, aquaculture and fish markets, women are losing out to modernization, conservation, coastal engineering and in the face of natural disasters. In Manipur state of northeast India, women in indigenous communities are as much involved in the fish supply chains as men, but usually in lesser and less remunerative roles that vary with time, place, region and community. S. Inaotombi found that efforts to get women involved in mainstream fishing activities usually failed due to invisible forces. Traditional fishing practices, however, do not require the strength and money needed for more modern variants, and so women are able to undertake these efficiently. 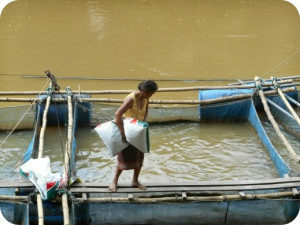 Several forms of traditional fishing are undertaken by groups, some exclusively of women or women and children, such as the long khonba, a type of meshing in waterlogged areas. 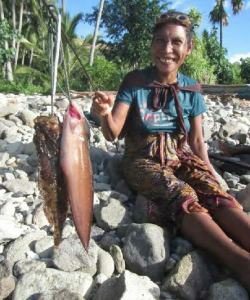 Women’s cooperatives, women-only markets (nupi keithel), traditional fish processing and fish-related rituals of religious, medicinal and life-stage significance are also important vehicles that have nurtured women’s fishing for centuries but are now being lost and ignored. Scientific knowledge can contribute to sustaining women’s involvement but only if it fits into and does not deny the structure and content of the traditional knowledge. Women marketing fish on the street in Patna, Bihar. Photo: Bibha Kumari. Fish marketing in Patna, the capital of Bihar state in north India is undergoing a transition from women dominated marketing (60% of marketers 20 years ago) to declining women’s participation compared to men’s (45% now), according to Bibha Kumari. The marketers explain the slide in women’s share of the marketplace as due to problems of physical safety and hygiene, especially with road-side stalls, lack of means to participate, concentration of product outlets as aquaculture develops, and the prevalence of fishermen in the city who also market their own declining fish catches to support their families. To overcome the negative impacts of these changes, a comprehensive program of action, including education (awareness creation and training) for the couples, not just the men, is needed. 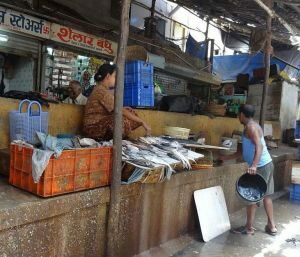 A woman selling fish from her small stall in an outer area of a Mumbai fish market. Photo: Shudawathi Peke. 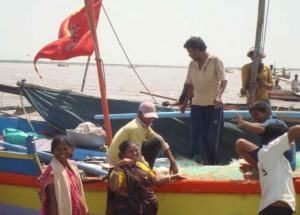 Women fish vendors in the busy Mumbai fish markets suffer increasing competition for fish, poor fish handling conditions for their work, and they lack political power, according to the results of the study by Shudawathi Peke. State and private sector interventions to upgrade market infrastructure, however, lead to losses for the women, such as lack of fish drying spaces and no places in new markets for street vendors who lead a tenuous existence as it is. More seriously, many market places are being eyed by the building sector as new residence and building sites. The study showed that building women’s collective capacity could really lead to their having greater sway, but many loopholes such as lack of knowledge of the opportunities and unequal power, thwart the women’s progress. 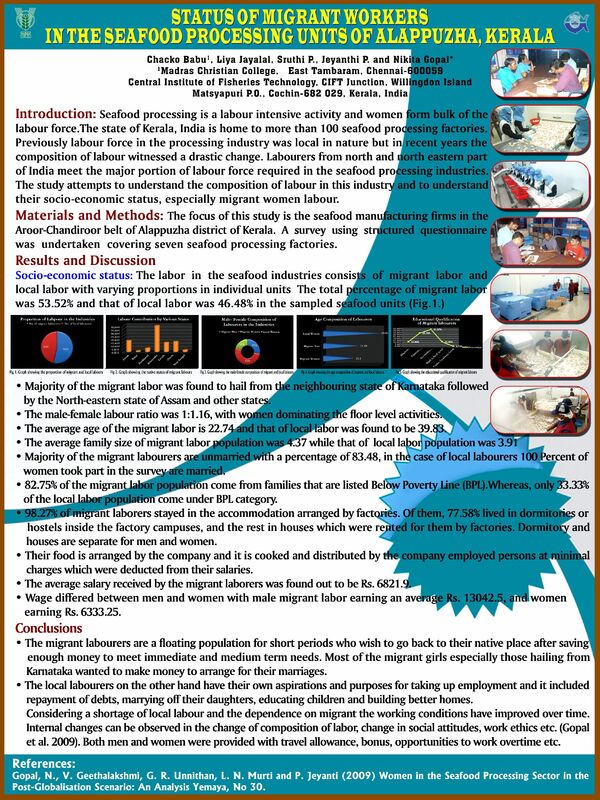 Technological changes in the traditional ring seine fishery of Kerala has had continuing impact on women’s employment, Leela Edwin and her colleagues reported in their poster. In the main, women now have difficulty accessing the fish to market them, and other activities are taken over by organized male labour. From a gender perspective, Dinesh Kapilly looked at the 500 year old “Sea Court,” or “Kadal Kodathy” (“Kadakkodi”), a local community-based judiciary system of the coastal fisher folk in the Malabar Coast of Kerala. 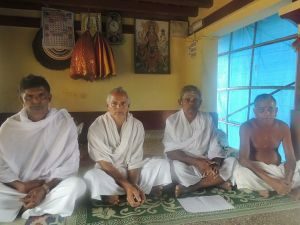 He found that the temple-based system does not welcome women into its processes, even though the processes deal with social and family issues, disputes on assets, and fish-catching and marketing related issues. The Kadakkodi tries to associate more with women on environmental issues such as environmental protection, anti-sand mining action, and marine turtle protection. Where it still operates, women publicly consider the system’s performance to be “fair,” but this needs to be taken in the context of their general submissive posture. Though the system works effectively at present in certain places like Kasargod, its future say over certain fisheries matters cannot be predicted owing to the lack of legal protection by the Government on the verdicts issued by the Kadakkodi as it is strictly controlled by the community leaders/ representatives. The Kadakkodi and other temple-based systems are more pervasive in family and social matters. 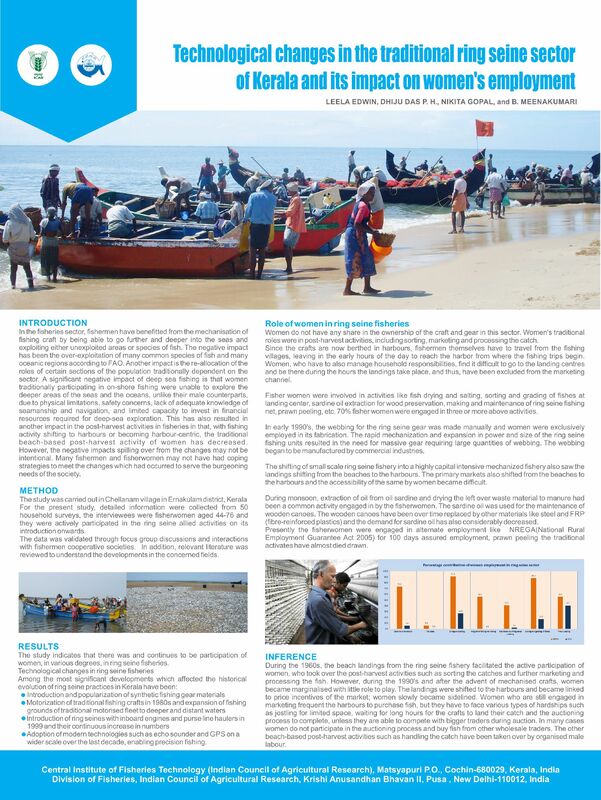 In the Vembanad estuarine system of Kerala, women undertake many fishing roles within their family units, and the benefits are restricted by the family fishing assets and access, such as to privately controlled fishing areas, according to the poster by P. Sruthi and her colleagues. Male fishers and women fish traders on the beach, Pekalongan, Indonesia. Photo: Indah Susilowati. On the coast at Pekalongan, Java, Indonesia, Indah Susilowati reported that climate change was causing severe coastal erosion, and more extreme weather events, causing many fishermen to leave to find work elsewhere and the women to cope with the challenges of maintaining income and shouldering their family duties alone. Many women took on side jobs, networked to build social capital as a safety net and yet still find themselves working harder for less, and they need better and more options to ensure their survival. Marieta Bañez Sumagaysay presented early results from studies on the women fishers who, in Leyte, Philippines in November 2013, weathered Super Typhoon Yolanda (Haiyan). 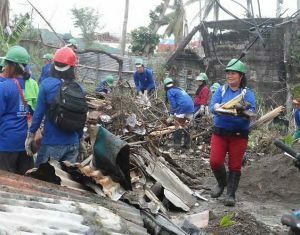 Within the first 48 hours, the women had to confront acute and traumatic events such as finding food and water, identifying and dealing with the dead and lost livelihood assets and housing. These conditions led to chaos and heightened their concerns for safety and health. Though suffering many natural disasters in the past, they did not understand the possibility of storm surges as high as coconut trees and were not prepared for it. Nevertheless, out of chaos, resilient and innovative tactics of survival emerged, ranging from looting for food before relief arrived, and pooling resources and services for collective benefit and safety. Shifting Undercurrents: Seaweeds Collectors of Gulf of Mannar, directed by Rita Banerji for the International Collective in Support of Fishworkers (ICSF), was introduced by Shudawathi Peke. It shows and tells, in their own words, of the lives and livelihoods of women divers who collect seaweed in the Gulf of Mannar Marine National Park off the south Indian state of Tamil Nadu. “Necessity pushes the women to sea,” although their efforts are outlawed under the Park regulations despite the women rejecting the government accounts of their negative impacts, especially in view of those of other large scale users. Those who talk in the film agree on the need for conservation, but the women divers and their supporters want proper debate on how to protect livelihoods of those who have depended on the environment. In a massive tidal reclamation project at Saemangeum in South Korea, Sun-ae Ii’s poster reported how men and women fishers had lost their livelihoods when the embankment was finally closed in 2006 and the enclosed land desalinated, and the valuable common orient clam collecting grounds lost. Many fishermen have left the area, hollowing out the population and leaving behind mainly elderly people. Women, who formerly had several jobs, including in farming, continue to find work, whereas men tend to be alienated and unemployed or have resort to marginal illegal fishing. As an ICAR institute generating freshwater aquaculture technologies, the Central Institute for Freshwater Aquaculture (CIFA), Bhubaneswar, Odisha, India has implemented projects to introduce promising technologies (carp culture, ornamental fish farming, post-harvest technologies and value addition) to women, often through Self Help Groups, and to investigate the impacts, reported P. Jayasankar in his presentation and short film. The impact assessment show that women can succeed, but still they remain in restricted roles and face social taboos, often living in remote areas. A major lesson at the institutional level is that all technology adoption has to be linked to socio-cultural aspects, including age, rural-urban location and the resources. U.L. Mohanty continued through the value chain and showed by presentation and film how CIFA links the products from aquaculture to value addiction, giving women additional livelihood options. CIFA has created and demonstrated to women a wide range of options for fish processing and marketing. They include developing fast food such as tilapia drumsticks and deboned carp, fish noodles, new hygienic fish vending vehicles, teaching women the intricacies of using solar dryers and the paniki or boti, a traditional filleting tool. Irular family involved with crab fattening, lake Pulicat, Tamil Nadu, India. Through her presentation and short films, B. Shanthi explained the success by women and men of the Irular people, formerly nomadic tribal people of Tamil Nadu, India, in brackwishwater aquaculture, namely crab fattening in tide fed ponds and pens, seabass pen culture, farm made fish feeds, ornamental fish farming, pond polyculture of crab and seabass, and mushroom farming. The agro-industries were technically backed by scientists of the Central Institute of Brackishwater Aquaculture, and through Self Help Groups. The Irular people earned extra income and the project promoted the value and need to conserve the brackish environment, built self-confidence to the extent that the community has become a role model for similar communities in India. This new option for livelihood can be passed onto the next generation. The projects connected the people to further assistance from government bank loans and international donors. DVD on women mussel farmers in Kerala, and their Self Help Groups. V.P. Vipinkumar, though his presentation and film, showed the assessed impact of mussel farming introduced to 11 women’s Self Help Groups on the Malabar Coast, Kerala, India using a Self Help Group Dynamics Effectiveness Index. Age, occupation and fishing experience were not related to the Index but participation, group atmosphere and the achievements of the group were very important in the Index. Madhumita Mukherjee of the National Fisheries Development Board, India described the parlous conditions under which many families live in the Sunderabans (West Bengal) on the coast of the Bay of Bengal, suffering eroding land and severe weather. Many women still eke out a meagre living from tiger prawn post-larvae collection and are constrained by many family obligations from taking up new opportunities. Paradoxically, West Bengal is also the center of Indian ornamental fish farming that involves 20-30,000 women. About 25 years ago, the industry emerged from local initiatives when people started keeping aquarium fishes in earthen tubs (“mazla”), leading to successfully establishing a few breeding units for some common fishes, e.g., gold fish, mollies, platties, sword tails. Women in peri-urban areas are particularly successful, enjoying the benefits of both village and city life, but the industry faces several problems. It now needs better connections with laboratories, and coordination among the industry in the Sunderabans. In a poster showing the ornamental fish industry in Kerala (wild caught and exotic species), Liya Jayalal and colleagues found that women-led units usually failed but those led by men and their spouses were successful. Women need greater awareness in order to become more capable in the commercial value chain. In discussions on the Indian experience with technology adoption and Self Help Group effectiveness, GAF5 participants highlighted the need to: (1) develop technology and disseminate it using the perspective of sustaining people’s life systems, especially taking into account women’s social positions; (2) monitor the indebtedness of the women; (3) understand market preferences, e.g., tilapia is not acceptable in all areas; (4) link water pollution cleaning technology with aquaculture given the increasing water quality problems. In Bangladesh in homestead ponds or ghers, Nasrin Sultana examined four types of training approaches that targeted women in projects by WorldFish and others. The ponds were used for carp polyculture and shrimp with carp polyculture. Three of the four forms of training intervention did not have gender elements specifically, although one, the participatory action research, targeted only women. The fourth, the gender transformative research, had a gender strategy. On the basis of the interventions, she observed that projects needed to get beyond conventional methods of training, including training lead farmers and targeting only women, because “gender relations affected the technology, its adoption, use and the distribution of benefits. Women and men share the pond tasks, share the decisions related to pond and execute the technology together. It is not only the women who manage the ponds alone.” However, challenges to more gender sensitive approaches remain, especially as both women and men fear to contravene social norms that restrict the mobility of women, e.g., affecting their ability to sell fish in markets. In her paper on Cambodian women in the cross-border fish trade with Thailand, Kyoko Kusakabe delved deeper into the assumption that women gain from greater collective voice and bargaining power. In an area she has studied in depth for more than a decade, she traced the impacts of policy and regulatory shifts and the views of the traders. The efforts since 2010 to organize the traders have largely failed as the trade is predicated on increasing competition among Cambodia traders for raw material and existing personal linkages between Cambodia and Thai traders. Kyoko concluded by raising the question for her study area: depending on the structure of the value chain, are horizontal linkages really useful? All over the world, women are a major component of the labour force in fish processing factories, not least in Kerala state, India, which has over 100 factories. Accepted wisdom is that conditions in factories are poor and need to improve. In Kerala, they seem to be improving, but for an unexpected reason. In Alappuzha district, local women’s labour has not been sufficient and so women and men from Assam and other northern states have been recruited. Chacko Babu and colleagues looked at the numbers and conditions of workers, finding different aspirations among the different types of labour, but overall improving workers conditions in the face of a shortage of workers. Barotse Floodplain, Zambia. Photo: Surendran Rajaratnam. Among the vulnerable communities of the Barotse Floodplain, Western Province, Zambia, gender inequalities give women little access to natural fisheries resources. Using a mix of social, gender and fish value chain analyses, Surendran Rajaratnam and colleagues have been laying the ground work for a gender transformative approach, recognizing the special challenges for poor and older women. The long transformative road will require investment in strengthening gender capacities and skills, fostering a new gender-aware view of the world among government fisheries staff, their partners and women and men in the communities. As part of the invited film session of GAF5, Enrique Alonso, co-creator of the acclaimed documentary “Wawata Topu – Mermaids of East Timor,” introduced the film and its impact on the women it features. He observed that the film created narrative capital for the women and thus devolved agency to them. By building their narrative capability through and after the film, their good story was able to be heard and is now leading to economic improvements, such as through the well-patronised guest houses they have built for tourists and sales of the DVDs. The East Timor President has visited and the main protagonist was named Women of the Year. Action that is informed by good knowledge of actual conditions, opportunities and underlying constraints is important in any development context, but arguably more so in efforts to create gender equality because many causes of inequality are invisible. Given that attention to gender is still receiving attention for the first time, many of the GAF5 papers reported diagnostic work, revealing a great diversity of circumstances. The Network of Aquaculture Centres in Asia-Pacific (NACA) and the USAID MARKET (Maximizing Agricultural Revenue through Knowledge, Enterprise Development and Trade) project led a Special Workshop based on their thematic studies on gender in aquaculture in Cambodia, Lao PDR, Thailand and Vietnam, chaired by Cherdsak Virapat (DG-NACA) and co-chaired by Arlene Nietes Satapornvanit, Nikita Gopal, and Gladys Villacorta. In his introduction, Dr Virapat pointed out that mainstreaming gender is difficult and much background knowledge is not available. The NACA-MARKET project seeks to turn this around by synthesizing existing knowledge and conducting case studies to provide insights into how to mainstream gender. Gladys Villacorta said that the MARKET project overall wanted to identify opportunities for improved women’s participation. Nikita Gopal noted that the project scientists were not gender experts, and so the gender experts had been brought in to advise. Arlene Nietes Satapornvanit kicked off the project presentations with an explanation of the case study approach, which is designed to examine gender in the thematic areas of aquatic health management, environmental governance, aquaculture improvement, better management practices and standards and feed management. She gave an overview of the results of the substantial desk study of existing country policies, guidelines, participation and practices in the four Indo-China countries. She concluded that the most commonly documented facets were the involvement of women in the grow-out (production) and post-harvest (from sale to processing) stages of value chains and these efforts mainly described divisions of labor but rarely analysed the reasons behind or the resulting impacts on women. Also, the field lacked systematic reviews of literature at national levels, especially those that made full use of materials in local languages. The project ultimately aims to create a regional practitioners network to share and grow knowledge and advocate action of the results of gender studies. In the dialogue following, NACA indicated that it would definitely be using its various other aquaculture networks and partnerships to make gender a cross-cutting issue in their work on markets, sustainability, livelihoods, food security and nutrition and animal health. Gender experts recommended that the case studies and similar projects look to go more deeply in their examination of gender, especially to link it to fundamental issues on markets, the environment and food safety. In the case study of tilapia cage culture by contract farming in rivers in Sakhon Nakhon, northeast Thailand, Kanit Naksung, women comprise 20% of the registered tilapia cage owners. The case study found that women tended to stock their cages more densely than did the men, had fewer cages, used less labour and obtained higher profits per kg of fish produced. Little is known, however, of the market price negotiations and risk factors in the system. Kanit stressed the need to look at the whole farming system including the women’s household roles as well as cage farming roles, and the social dynamics in which profitable cage farming had brought men back to working at home in this region. In Vietnam, red tilapia is a major industry in the Mekong Delta region, but women’s roles in the value chain have not been studied previously, said Truong Hoang Minh. His case study was carried out in Tien Giang province. The study documented women’s and men’s roles along the value chain. Despite women being active throughout, men dominate activity in this capital-intensive industry, where production operations are frequently located far from the house and not always considered safe for women. Men are critical at key stages, such when obtaining loans as the owners of property. At the stage of harvest and price negotiation also men dominate. Women dominate in buying and selling in local markets, and also in work in export processing factories. 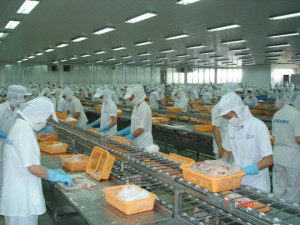 Shrimp export production line, Vietnam. Photo: Nguyen T.K. Quyen. The rice-shrimp rotation value chain in Soc Trang Province, Vietnam, is another export-oriented value chain, according to Nguyen T.K. Quyen, but the farming is mostly small-scale and extensive. The gender roles along the value chain had many similar patterns to those of the red tilapia farming, but in the case of obtaining credit, women and men were equally likely to be responsible, although men typically still dominate land ownership. Although women are involved in most on-farm activities, men are the more active. Overall, in the grow-out farming, women are involved mostly in supporting work and household tasks, but they are in charge of managing household savings and control the finances, are equally involved as owners and managers in the middlemen stage, and as employees in processing plants. Women are also lacking in technical training. Since these studies have examined activities all along the value chain, one suggestion to the researchers is that they go beyond just divisions of labour and roles in decision making and also look at how value increases up the chain. The researchers were also urged to consider reframing women’s safety as conditions subject to violence by some men, which was really the issue to be addressed. According to Kao Sovityea, aquaculture production in Cambodia has grown from 14,000t in 2002 to 74,000t in recent years, but little is known about the number of households involved. A number of studies validate that women are intensely involved, although largely in unpaid roles. In Takeo and Kampong Speu, where aquaculture is intensifying, the NACA-MARKET case studies found that women are involved in more aquaculture activities than men, possibly due to an outmigration of men. No women attended the available training courses, however, due to their household commitments. Kao Sovityea told the story, starting in 1998, of the initial failure and eventual success of one woman and her household in Kampong Speu. Despite the early failure, she persisted, obtained training from the PRASAK organization, and kept trying to produce fingerlings, in which she succeeded in 2000, growing them by herself. Through daily practice and training from different providers including in Thailand, Vietnam and Indonesia, she perfected the breeding, spawning, nursing and grow-out, and she and her family gradually built up the size and assets of the business, winning local and national recognition, including a gold medal from the Minister of Agriculture, Fisheries and Forestry. 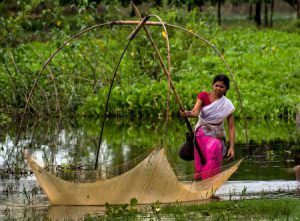 Women’s contributions to the rapid aquaculture development of Bangladesh has been recognized, but largely in the homestead ponds, and much less so in commercial aquaculture. Karolina Kwasek reported on a preliminary study involving fish producers, dealer/traders, feed processors, and those in local handmade mills to assess the role and empowerment potential of women in the commercial supply chain. In this sample, only six percent of workers were women, and these were mainly in fish production. The employers were generally well disposed to employing more women because of their perceived advantages as workers, such as their trustworthiness, dedication to work and lower cost, but only 30% planned to engage more women in their workforces. If women are to have a greater role and more rewarding employment in commercial aquaculture, then much more needs to be understood about the social and workplace constraints involved. 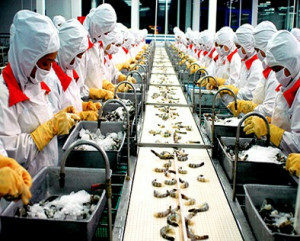 Working conditions and worker welfare on shrimp farms and other parts of the value chain are receiving more attention in Thailand and exporting countries, including in certification schemes concerned with not just sustainable, but also ethical shrimp production. Despite this, Arlene Nietes Satapornvanit pointed out that gender and quality of life issues have still not penetrated the discourse. Her study of Thai and immigrant farmers focused on the production stage of the value chain, in small, medium and large scale farms. Among the migrants from Laos and Myanmar, rice farming and construction work were the workers most common previous occupations. Many workers, including the Thais, were employed as couples, but under a range of business and family-like conditions such as employing couples and employing only men and their wives contributing unpaid support or working in separate occupations. Generally, the workers reported an improved economic, social and physical quality of life on taking up shrimp farming work. Issues still remain, however, such as couples’ salaries, access to training for women and non-Thais in their own languages, and migrant status. In the ensuing discussion, GAF5 participants suggested looking in more depth at family labour as this often produces vulnerabilities; the constraints on employing single women; and going beyond the sustainability dimensions to look in more depth at matters such as welfare, social protection, and accident insurance. Trading hilsha, Namada estuary, Gujarat, India. In her plenary talk, Dr Meenakumari stressed the immense size and diversity of fisheries in India. This is well illustrated in inland fisheries. In his major cross-country study of six states, Ganesh Chandra found a spectrum of patterns of gender engagement. On a composite measure of women’s empowerment based on measures for drudgery, livelihood, a matrix of fishing activities and from focus group discussions in case study, Gujarat women scored highest on empowerment, followed in order by Madhya Pradesh, Assam, Odisha, West Bengal, and Bihar. Women weighing riverine fish catch, India. Photo: Lalit Tyagi. 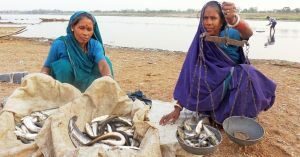 What special functional role could women play in co-management and conservation of fisheries in reservoirs and rivers, asked Lalit Tyagi, in looking at gender roles in fishing cooperative societies in four Indian states (Himachal Pradesh, Madhya Pradesh, Odisha and Uttar Pradesh). At present, women often play passive rather than active roles, although this varied with activity and state. He found that the conservation orientation of people tended to vary more by state than gender, but more research is needed to understand the reasons for this. 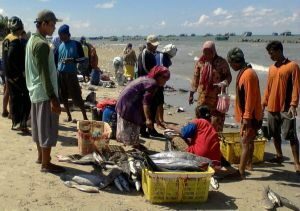 The women and men have been stressed by decline in resources, but will reducing fisherwomen’s vulnerability and marginalization increase their incentives and capacity to contribute to responsible and responsive resource management? Marilyn Porter led a Special Workshop – “Towards GAF 101 – Mainstreaming Gender into Aquaculture & Fisheries Education” – to gather participants views on the why, who, how and what of basic introductory gender education for fisheries and aquaculture. A rich and wide range of views were contributed and argued, leading Marilyn to conclude in the final meeting of GAF5 that the priority seems to be a beginners course, starting with a one-day workshop prior to GAF6, aimed at those coming fresh to gender in fisheries and aquaculture. Other high priority areas are “train the trainer” courses for planning officers on the ground, delivered in house rather than online. The key challenge to institutionalize any training will be getting to the senior bureaucrats, who will not be amenable to the desired 5 day course – but whose interest could be captured by a set of points to be delivered in half an hour. Recounting how women in professional positions in aquaculture are often isolated and reluctant to speak out on feminism and women’s rights, Chloe English developed the case for a call to action by women in the sector. She urged that they: “speak up because we need: a diversity of decision makers; to adapt approaches from companies in other progressive industries; and to connect as individuals to share ideas and support each other.” She reported that the new Women’s Network that Aquaculture without Frontiers is establishing is being created to help meet the need to connect. In the seafood industry, “women are like oxygen, rare at higher altitudes,” according to the data analysed by Marie Christine Monfort, holding only 1% of the top positions such as chairperson, CEO or president in the top 100 seafood companies. Speakers at industry conferences are rarely women, although some slight improvement has been noted in the last few years due to the action of activists. She outlined steps to make the case for the value to the industry of having more women in key positions, and developing an international network to advocate for and mentor women for the benefit of the seafood industry. In debate on the presentation, participants argued both about the innate fairness of women having more access to leadership power, versus the probability that women in large vertically integrated corporations would adopt patriarchal approaches and have little positive impact on helping achieve gender equality, food security and nutrition in fisheries. Since late 2010, the Genderaquafish.org website has been operating in its present form, gradually growing in content and usage. In 2014 it attracted 18,500 visitors from over 160 countries. Thanks to an initiative from Danika Kleiber, a special workshop at GAF5 was conducted by Meryl Williams and Piyashi DebRoy to canvass ideas for topics that participants would like to see covered and aggregated on the website. The lists will be further developed and will form the basis for a new topic profiling system on Genderaquafish.org. GAF5 was supported by the Asian Fisheries Society, Asian Fisheries Society Indian Branch, Indian Council of Agricultural Research, Network of Aquaculture Centres in Asia-Pacific, United States Agency for International Development MARKET project (USAID-MARKET), Norad (Norwegian Agency for Development), Marine Exports Development Authority (India), National Fisheries Development Board (India), Aquaculture without Frontiers and the presenters and their host organisations. 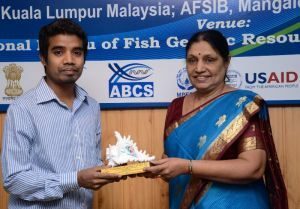 It was held as part of the 10th Indian Fisheries and Aquaculture Forum hosted by the AFS Indian Branch at the Bureau of Fish Genetic Resources, Lucknow, India, from 13-14 November 2014. All supporters are gratefully acknowledged. GAF5 was the 7th women/gender in fisheries/aquaculture symposium in the series hosted by the Asian Fisheries Society (AFS, http://www.asianfisheriessociety.org) over the past 16 years. Founded in 1984, AFS is a non-profit scientific society that promotes networking and co-operation between scientists, technicians and all stakeholders involved in fisheries (including aquaculture) production, research and development in Asia. Its ultimate objective is to enhance food security and income-generating opportunities for fisheries workers via sound management practices, environmentally sustainable development and efficient utilisation of the aquatic resources. GAF5 received over 50 stimulating contributions: 21 oral presentations, including 8 in the Focus India sessions; 6 films and videos, 9 poster, 3 special workshops, including one with 7 oral presentations; 1 panel discussion comprised of 3 speakers and audience discussion; and 1 meeting. Presentations covered global and regional issues and specific issues in 11 countries of Asia: Bangladesh, Cambodia, India, Indonesia, Korea, Philippines, Thailand, Timor Leste, Vietnam; Africa: Zambia; Regions: Lower Mekong River. Credits for Photos in GAF5 Collage: (l. to r.) U.L. Mohanty (India), B. Shanti (India), Arlene Nietes Satapornvanit (Thailand), L. Tyagi (India), Dinesh Kaippilly (India).